Disability Blog Carnival #83 is up now! Go visit Never That Easy for a "Happy Arbitrary Day" collection of diverse links and contributions around no particular theme--which is rather novel for the Disability Blog Carnival! The July edition, #84, is scheduled to be hosted at Stream of Caitlinness--more details about that one as they become available! Thanks as always to the hosts, contributors, commenters, readers, and linkers of the Disability Blog Carnival; it takes a community to maintain a vibrant blog carnival for over five years. Let me see you smile. Do not spurn me. Looking for some one to love. Let’s get acquainted. Introduce me to yourself. Louis Moilanen was born in Finland, and came to America when he was four years old, with his parents. They were a farming family in the Upper Peninsula of Michigan. The child soon became as tall as an average man, and then taller still. By his teen years, special clothing and shoes had to be made for the boy. He worked at the copper mines nearby, hauling timbers, until his size made that unmanageable--mines were built for smaller bodies. As an adult who was at or above eight feet in height (as usual, reports vary), he joined the Ringling Brothers circus for three seasons. Upon his father's death, Louis immediately returned to the family farm to help his mother. 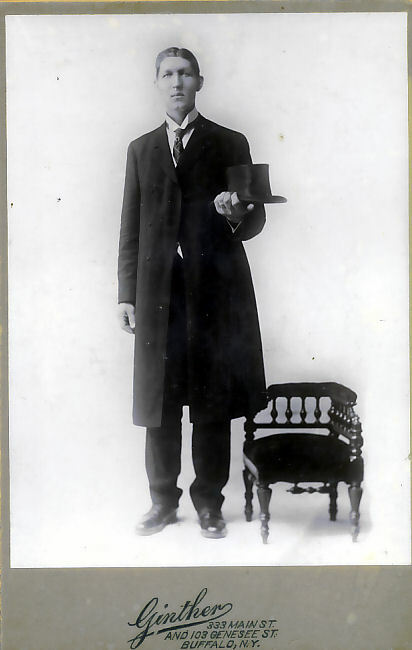 Louis Moilanen worked as a bartender, and was elected justice of the peace for Hancock MI, which is some evidence of his community's respect for the young man. He was just 27 when he died from tubercular meningitis, in 1913. Of course, there had to be a specially-built coffin for Moilanen, and it took eight pallbearers to carry him to his rest. The 100th anniversary of Moilanen's death is coming up next year, and there are plans to put an 8'3" marker at his grave, to commemorate the centennial. Ever heard of the Infante Philip? He had a lot of names. He was born and baptized in the Kingdom of Naples, as Filippo Antonio Gennaro Pasquale Francesco de Paula. 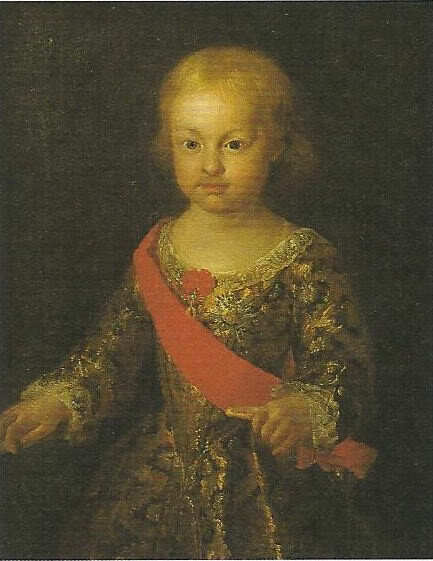 His title from birth was Duke of Calabria, because he was the Heir Apparent of the Kingdom of Naples, son of the king. He was named for his grandfather, King Philip V of Spain. His birth was much heralded, coming as it did after five girl babies, in a world that valued sons, and especially firstborn royal sons, so much more. A beautiful fan was painted to commemorate his birth. But Philip would never rule a kingdom. Philip, son of King Charles, grandson of King Philip, was born with disabilities that became more apparent as he grew. His head was large for his body; he had seizures; he did not learn to speak. Witnesses said he didn't easily make eye contact. He was raised with his siblings and tutored with his younger brother, Charles. When Philip was twelve, a group of doctors and officials were charged with determining if he was competent to reign; they watched him for two weeks, and said no, Philip cannot fulfill that inherited role. So, as a young man, relieved of the right and obligation to be king, Philip, Duke of Calabria, lived in palaces at Capodimonte and Caserta. He was not hidden; his regular public appearances were important for clarifying the reasons behind his younger brothers' positions. He apparently enjoyed eating and drinking, and a particular quirk was mentioned in one account: he enjoyed having gloves put on his hands--layers and layers of gloves, finger by finger, sometimes more than a dozen layers of gloves on each hand. (I wonder what today's occupational therapists would make of that! Was there a special case of Philip's glove collection, numbered by size, so they would nest just right?) Into adulthood, palace staff had some difficulty keeping Philip from "embracing" women at the court; they tried to keep him away from women, but he learned to slip away. Philip, Duke of Calabria, died in the fall of 1777, from smallpox. He was thirty. He's buried in Naples, at the Church of Santa Chiara. I wish I knew that when I visited Naples several years ago; I might have gone to pay my respects. UPDATE April 2015: I found a mention of Infante Philip in a 1770 Pennsylvania newspaper; evidence of how widespread knowledge of his disability was beyond Naples. about anything disability related your little heart desires: an old post that's a particular favorite of yours that you wish more people had seen, a brand, shiny new post that you're going to write specifically for the Carnival, a rant, a rave, a list - whatever floats your particular boat. Now seriously, folks, that's a call that anyone can respond to! (Go read the rest, including a good reminder to make your blog as accessible as possible if you're participating, to welcome a diverse range of carnival goers.) Leave NTE a link over there, or here, by June 23, and watch what happens.